Central St Martin's graduate Tomo Campbell opens his wondrous new exhibition, 'Held on the Tips of Fingers', at the Golborne Gallery in Notting Hill with a private view tonight. He's been a resident artist at The Royal Ballet, Harry Styles is rumoured to have taking a liking to his works, he once modelled for Dior and now he debuts his latest batch of work in this newly opened gallery. 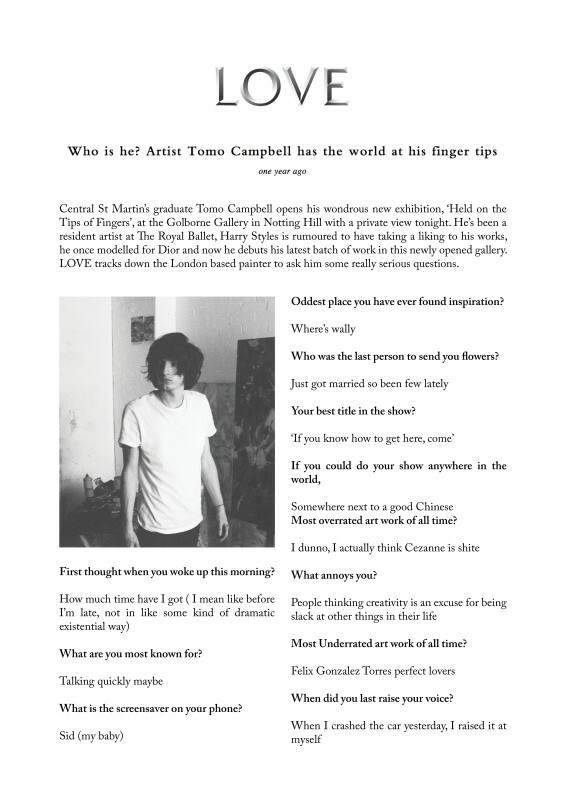 LOVE tracks down the London based painter to ask him some really serious questions.